The average roof replacement costs for a new asphalt shingles roof installation for a 2,000 square foot single story home can range from $8,000 – $17,500 including installation, the cost of roofing shingles, removal of your old roof, dumpster & disposal fees, permit fees, and your roofing warranty. Unless you have documents detailing the exact size of your roof, you will be left estimating the figure. Fortunately estimating roof size isn’t as difficult as you might think. The only thing you need to know is the ground area of your home and the pitch of your roof. If you have a roof with multiple pitches you’ll have to calculate each section separately and add up all the totals to find out what the total roof area is of your home. To find the ground area of a section of your home you need the length and width of that section. Use a landscaping tape measure to measure the length and width of one section of your home from the ground and mark down the measurements. Multiple the length and width together to get the ground area of that section of your home. Finally, divide that area by 100 to get your ground area in squares rather than square feet. For instance, if you got 10,000 square feet, you would have 100 squares of ground area. The pitch is the slope of your roof. A low pitch roof rises by three inches for every 12 inches of roof length. A medium pitch rises by 6 inches over 12 inches of roof length and a high pitch rises by 12 inches over a 12 inch length of roofing. To calculate the pitch of your roof you need a ladder, a tape measure and a level. Simply measure up the roofline 12 inches and set the edge of the level at that spot. Now tip the level so that it’s completely level from the spot you measured to out over the edge of the roof. Measure down from the bottom edge of the level to the edge of your roof. Whatever the vertical distance is will let you know the pitch. Around 3 inches is low, around 6 is medium and 12 is high. With the pitch and the ground area, you can approximate the area of your roof. For a small pitch multiply the ground level by 1.06 and write the number down then multiply it by 1.08 and write that number down. That’s your short pitch range. Do the same thing for medium or high pitches but use 1.12 to 1.25 for medium and 1.3 to 1.42 for high. Find the area for each different section of your home and add it all up to get the total. With the above calculations, the low-end price is $5,996.57 with an average cost of $4.61 per square foot to a high of $9,819.85 with $7.55 per square foot. With the total area of your roof noted, finding the cost of your roofing itself is a simple matter. 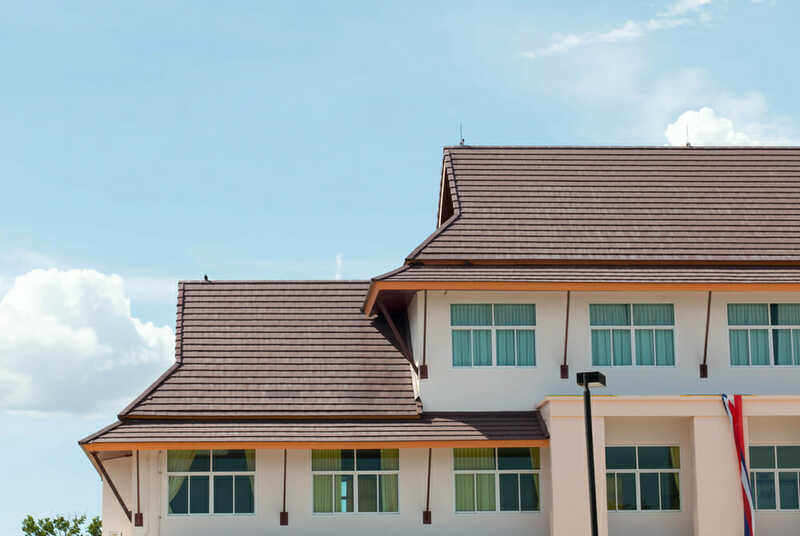 Find a supplier for the roofing that you decided to go with and inquire about the price per square for the type of roofing material that you want. Multiply that price by the total number of squares that you have, rounding up to the next highest square. To be on the safe side it is a good idea to add in an additional 20% to the total amount of roofing that you are buying to cover all the waste that will be generated during the roofing process. Be sure to add in any delivery fees on top of the cost of the roofing itself. If you are picking up the roofing, you won’t have to worry about a delivery fee, and some companies will provide free delivery if you buy enough roofing. When estimating how much you’re going to spend on your roofing make sure that you consider the cost of the underlayment that will be laid down underneath your roofing. Underlayment is the last line of defense between your home’s sheathing and the elements and high quality underlayment will help keep your home safer over time. While petroleum-based felt paper is highly affordable, more robust options like synthetic underlayment provide greater protection and offer a higher traction walking surface for the installers, making the roofing simpler to put on. Find out how much square footage a single roll of the underlayment covers on your roof and then divide your roofing area that you calculated by the amount to find out how many rolls you’ll have to purchase. Always round up to the next roll amount and consider adding an additional 10 to 20% to account for any waste that will occur or any issues. The cost of the roofing itself and the underlayment isn’t the only cost that you’ll have to consider, unless you plan on putting it on yourself. You will also have to think about what you’ll pay the roofers to put the roofing on for you. There isn’t an easy way to estimate how much a roof is going to cost you, and instead of going with guesses it’s much better to get in touch with roofers in your area and simply ask them what they will charge you to put a roof on your home. They’ll give you a price range to work with based on the size of your roof, and you’ll get a more comprehensive estimate after they come out to see your house in person. Make sure that you get an estimate in writing from the company that you decide to work with before they ever start work on your home. This estimate helps ensure that you get a final price that closely matches what you were quoted. It’s possible that the price will go up slightly over the course of the project, but it shouldn’t go up too much without good reason. Talk with multiple contractors to find out which one is going to give you the best price, but don’t hire roofers based on price alone. You have to consider the quality of work the roofers will put in as well. Looking at reviews and past projects will help you decide who can do a good job on and be sure to check with the Better Business Bureau (BBB) to make sure there aren’t any complaints about the contractor you choose. Some contractors will purchase all the roofing needed to complete the job for you and include the roofing in the price of the estimate. Ask for an estimate with and without the materials and price the materials on your own to see which is the better option. If you see that you’re getting a lower material price through the contractor it’s worth it to have the company get the materials for you. Often they have relationships and get discounted materials overall. Plus you don’t have to worry about moving materials yourself. The government and local counties and organizations provide many different grants to help with home improvement projects. If you’re trying to figure out a way to afford the cost of a new roof, or to simply lower the price a bit, it may be worth looking into some of these incentives and resources. Get in touch with your local government and inquire about any grants available in your area. You might qualify and be able to lower your roofing costs. After the roofing job is complete, there is likely to be a big pile of waste that has to be taken care of. Not only will you have to pay someone to remove this rubbish from your yard, but you will also have to pay to dispose of it. This is especially true if you’re having roofing torn off your home before you get new roofing installed. Metal roofing has scrap value and could actually make you some money if it’s recycled, but other products like asphalt shingles will cost you money to dispose of. When you’re speaking with the contractor who is going to do complete the project, make sure you ask about trash and what he will do to get rid of it. Find out if the team will cover the expenses of a dumpster and waste removal, or if you have to do that as well. Make sure that you know right away so that you can factor in those costs to your bill as well. Chances are good that you will need a large dumpster in order to accommodate all the roofing and other garbage that is going to be generated from the project, so plan accordingly. If you aren’t sure how large of a dumpster you need, you can ask the contractor. The garbage company may even be able to help you figure out the right size to go with if you are in charge of obtaining it. Now that you know what the project is going to cost you, it’s time to come up with the money that you need to pay for it. For some people with a sizeable home repair fund this step is a simple one, you just need to write a few checks to cover the expenses and call it a day. But what if you don’t have the money to cover these expenses? There are a few options available. One of the simplest loans to take out for a replacement roof is a personal loan. A personal loan only requires that you have the necessary income and decent credit rating to qualify. You’ll be given between 5 and 20 years to pay off the money that you borrow and you can get the funds you need to have the job done. The payments will be reasonable, but the interest rate that you pay will be quite high compared to other loan options. If you’ve paid off a good portion of your home’s overall value you’ll have some serious equity to work with. The equity is the amount of home that you personally own, and you can borrow against that equity to get the money you need to fix your roof. 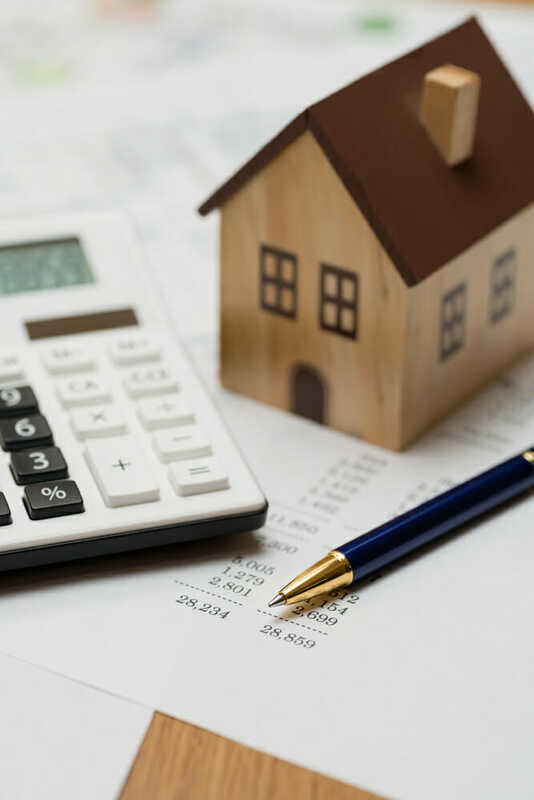 You are essentially putting your home up as collateral when you take out this type of loan, and that’s why you’ll be able to obtain the loan more easily and why you’ll get a lower interest rate than you would with a personal loan. If you have equity to work with, this is the way to go if you don’t have money saved up for a roofing repair. If you discover that you have to replace the roof of the house you’re planning on buying, you may be able to get your mortgage amount increased enough to pay for this improvement. While some banks will resist raising the value of your mortgage to a level that is much higher than the initial appraisal, you might be able to get the increase if you present a firm bid from a contractor for the work and an estimate from your appraiser about the increase in value after the work is complete. New roofing is an excellent investment that you really shouldn’t skimp on. Make sure that you know all the costs involved and calculate your roof’s estimated lifespan so you can start saving for a replacement when the time comes.